 DPS Global is a Specialist in Healthcare Recruitment with over 30 years’ experience in the industry. Our profound system of recruitment has ensured we work with top industry professionals which enables us to offer great career opportunities in the Middle East. Candidates are supported throughout the job hunting process and we make sure you are only put forward for suitable jobs that fit your specifications. We process and filter the application detailing the position you are looking for and match your CV to the job description. We invite all suitable candidates to a pre-interview which is either face-to-face, telephone or via Skype. Each candidate profile is added to our Healthcare database of Medical staff. When suitable positions become available, we notify the candidate. If you are a candidate looking for new opportunities and would like to be included on the DPS Global Healthcare database, please send your details to us via e-mail explaining what type of opportunities and positions you are looking for. We provide interim and permanent positions for Doctors and senior Nurses in the Middle East. We tailor make our services to suit each individual client and provide friendly and knowledgeable support throughout the recruitment process. Our extensive process has ensured we work with top industry professionals and subsequently we have great career opportunities available which attracts our top level candidates. We make sure right from the start that only the correct calibre of candidate with the desired credentials is put forward for your review. Our methodical process system focuses on specific targets and disciplines so you get exactly the candidates that are required. Using tried and tested Search and Selection techniques. Providing a shortlist of suitable candidates based on the clients Assignment Requirements. Providing each candidate profile with detailed notes, so the client can focus on their specific key areas. Understanding the culture and nature of each business and therefore matching the candidates that best fit the ethos of the organisation. Organising the whole process, when required, from selection to start date. For more information or to use DPS Global Healthcare Recruitment’s services, contact us now.